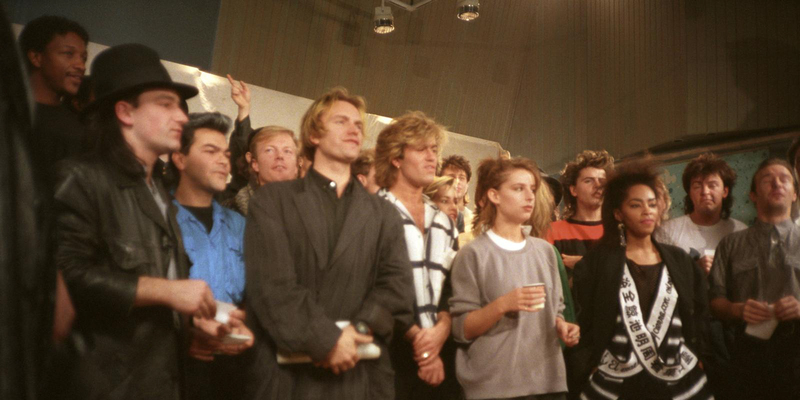 Simon Lebon, Sting, Bob Geldoff, Bono and others at the recording session for Band AID in 1984. 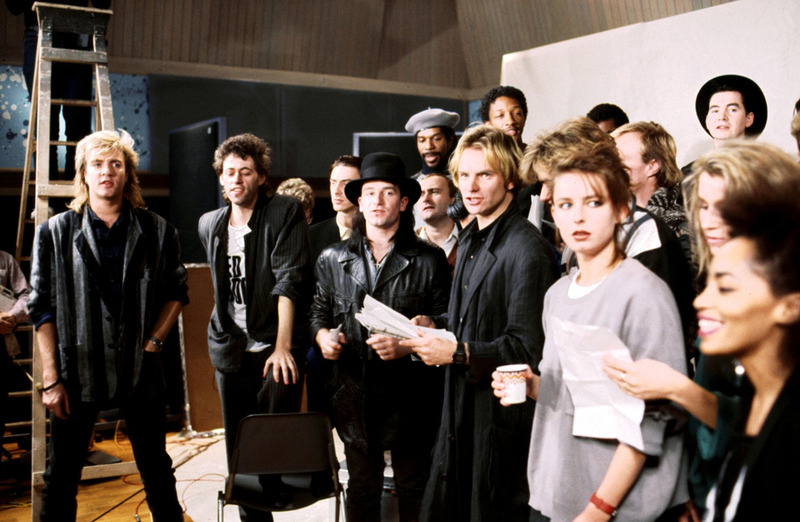 Bob Geldoff of the Boomtown Rats gathers the biggest music stars of the UK to record “Do They Know It’s Christmas?” under the name Band AID. 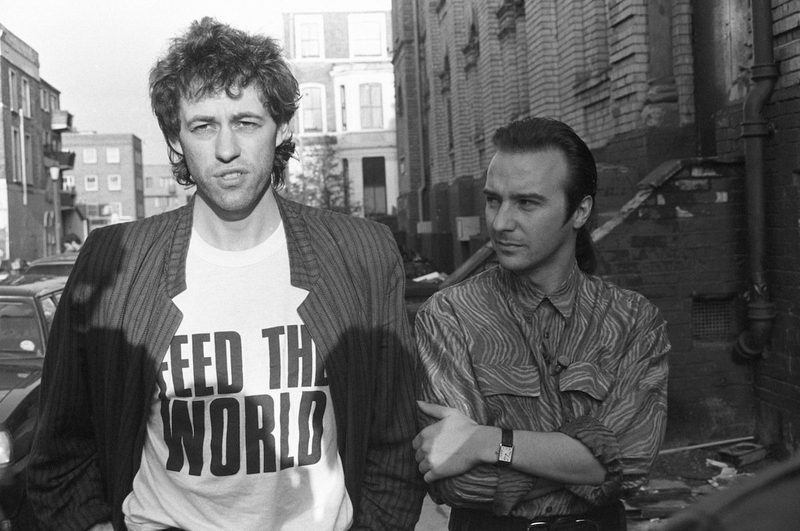 The proceeds went to famine relief in Ethiopia. 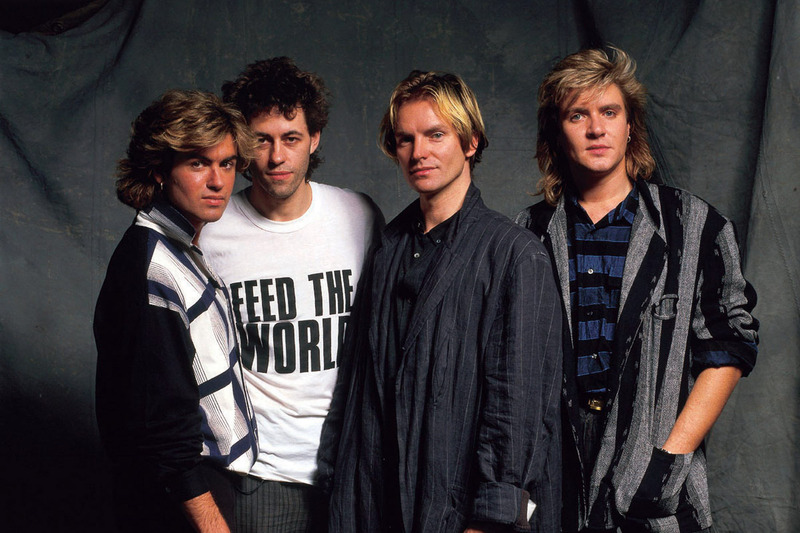 The single made more than 100 million dollars and eventually led to the historical, world watched concert called Live AID. All about the Sting and Bono segments. 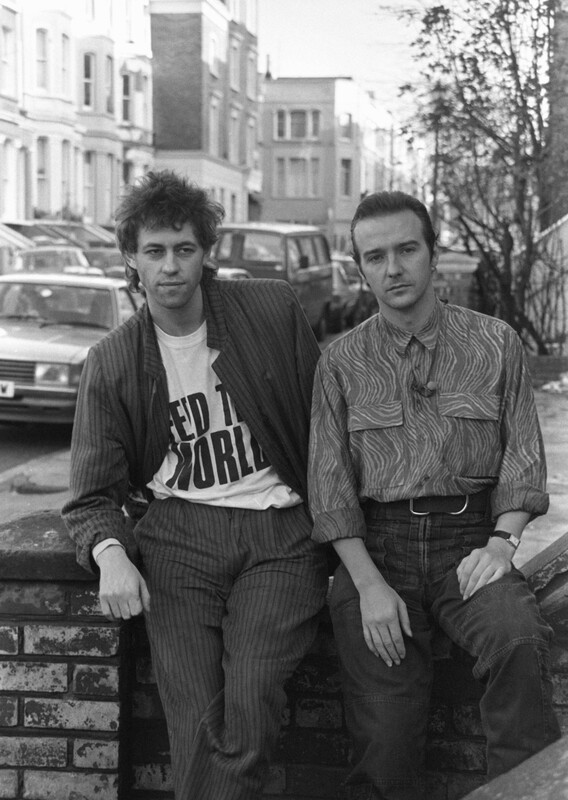 Posted in Music and tagged Bono, Christmas, Great Britian, Holiday, Holidays, Merry Christmas, Music, Music Video, Opinions, Sting, Sting (musician), UK.